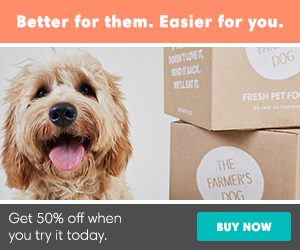 Nestle’s Purina PetCare and Milo’s Kitchen – Pulling Pet Treats - Petpav - Your Online Magazine for All Things Pet! If you feed your dogs any of the above treats, please take notice immediately. It’s disconcerting to see so many recalls on dog treats recently. Two makers of pet treats are pulling products from the market because they may contain traces of poultry antibiotics that aren’t approved in the U.S. Nestle Purina PetCare is taking Waggin’ Train and Canyon Creek Ranch brand dog treats off the market, while Milo’s Kitchen is recalling its Chicken Jerky and Chicken Grillers home-style dog treats. The chicken jerky products, which are made in China, may contain minute amounts of antibiotic residue, the companies said Wednesday. The antibiotics have been approved by Chinese and European Union regulators, but they are not approved in the U.S. The companies said the treats don’t pose a safety risk to pets, but they are still pulling them off the market. The recall doesn’t cover other products the companies sell. Milo’s Kitchen said there is no known health risk associated with the antibiotics, but their presence means the products don’t meet its standards. It said the chemicals “should not be present in the final food product.” The recalls come after the New York State Department of Agriculture detected the antibiotics in samples of the companies’ products. Purina said that the regulator asked that its affected products be pulled from stores in New York. U.S. federal regulators have also been looking into reports of pet illnesses stemming from their snacks. The Food and Drug Administration says reports of sick pets connected to jerky treats, particularly chicken jerky made in China, have been increasing for years. The agency said in September that it had been notified of 360 dogs that died after eating jerky treats over the last 18 months and is conducting a broad investigation. No definitive cause for the dogs’ sicknesses has yet been identified. Waggin’ Train and Milo’s Kitchen are mentioned often in consumer complaints made to the agency, and Canyon Creek is also named in a few complaints. Purina said Wednesday that there is no indication the recall is linked to the problems the FDA is investigating. 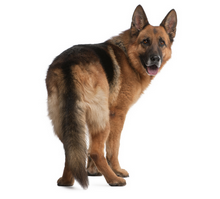 Symptoms reported to the FDA include gastrointestinal problems like vomiting and diarrhea, as well as kidney problems, which can cause dogs to drink and urinate more than usual. The FDA says that commercially produced pet foods contain all the nutrients that pets need, so treats are not necessary for nutrition, and commercial pet food “is very safe.” Purina is a U.S. division of Swiss consumer products giant Nestle that is based in St. Louis. Milo’s is owned by Del Monte Foods and is based in San Francisco. Copyright ©2013 by The Associated Press. All Rights Reserved.